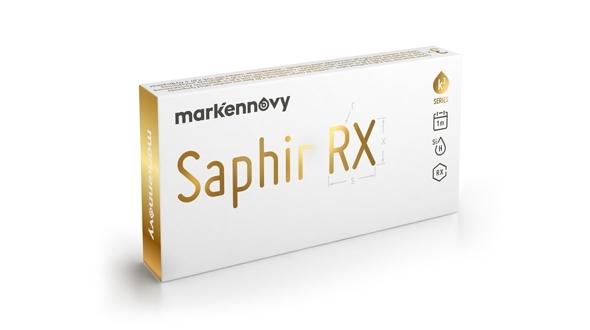 In our online optics you can buy original Mark Ennovy Saphir contact lenses, we are official distributors. Saphir contact lenses are manufactured by the prestigious national laboratory MarkEnnovy. This laboratory is very important due to the personalization of the lenses to each patient. Saphir are custom contact lenses , radius, diameter and power, they are manufactured according to the parameters of each patient's eye, ensuring a perfect vision, comfort and adaptation without equal, you will not notice that you are wearing them. Saphir is the first custom spherical monthly lens of Silicone Hydrogel with unlimited parameters. These custom-made disposable lenses are made with the most advanced material on the market: silicone hydrogel, which ensures all the oxygen supply that the eye needs to stay healthy. Ideal for demanding patients where vision and comfort prevail over price. Dehydration at the end of the day less than 2%. Amplitude of parameters: it is the contact lens with the widest range of parameters on the market. Clear and precise vision all day. Total comfort thanks to a low modulus of elasticity, 60%. Saphir RX Spherica: this contact lens corrects myopia up to -30.00 diopters and hyperopia up to +30.00 diopters, in steps of 0.25. This data is surprisingly large for a monthly lens. Format in boxes of 3 units. Saphir RX Torica: only monthly lenses that correct astigmatisms up to 8.00 diopters, opening possibilities to patients who have never used contact lenses due to their high astigmatism or who have abandoned their use because their lenses do not give good vision. Saphir RX Multifocal: high-end progressive lenses that provide excellent vision both far and near, with CD and CN geometries, based on ocular brain dominance. Saphir RX Multifocal Toric: corrects vision from far, near and in addition, astigmatism up to 8.00 diopters, this data is something exclusive in monthly disposable progressive lenses. All Saphir RX lenses are manufactured, that is, they are made to measure for each patient, there are no lenses in stock. Ask us the manufacturing time. The format in which Saphir lenses are presented is in boxes of 3 units. You may not find the cheap lenses you are using in our online store, it may be because you are wearing white-label contact lenses. 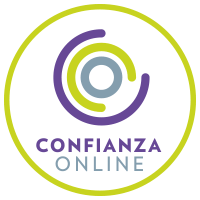 All our brands are official and original, consult with our contactologists the equivalent of your contact lenses in official brand, we will be happy to help you. In Prodevisión you can acquire the Saphir RX contact lenses easily, comfortably and at very competitive prices, enjoying all the purchase and security guarantees. 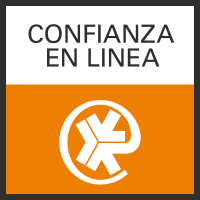 We are a serious company with many years of experience in the world of optics (contactologists, we adapt daily in our center). We are professionals. Buy cheap lenses Saphir in Prodevisión. Secure payment.